From the internationally bestselling author of four books, including The Opposite of Me, a vibrant, compulsively readable novel about two married couples who pursue a dream to open a bed-and-breakfast in small-town Vermont. 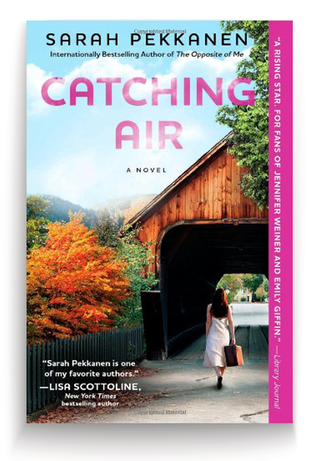 In her previous works including The Best of Us, “rising star” (Library Journal) Sarah Pekkanen captivated readers by penning “refreshingly introspective, sharply realistic, and tenderly humorous” novels (Booklist) that had readers “flying through the pages” (Hoda Kotb, Today show). Now, in Catching Air, Pekkanen turns an unflinching eye on the tangled relationships of two pairs of thirty-somethings.